So for the first time in 2015 the Dolphins played a game that everyone can be happy about which means we can finally try and sell you some stuff. We made a ton of new Dolfans NYC merch this year but it’s pretty hard to be excited about new shirts and hats when the Dolphins look like one of the worst teams in the NFL. No longer! Dan Campbell has righted this ship and now it’s time to give us your money so that we can give it to charity! Dolfans NYC raised a ton of money last year between the #MetLifeTakeover, our raffles at Slattery’s and of course our merch sales. All of this money goes into the Dolfans NYC war chest which is used to buy new merch, throw events and most importantly donate to charities. 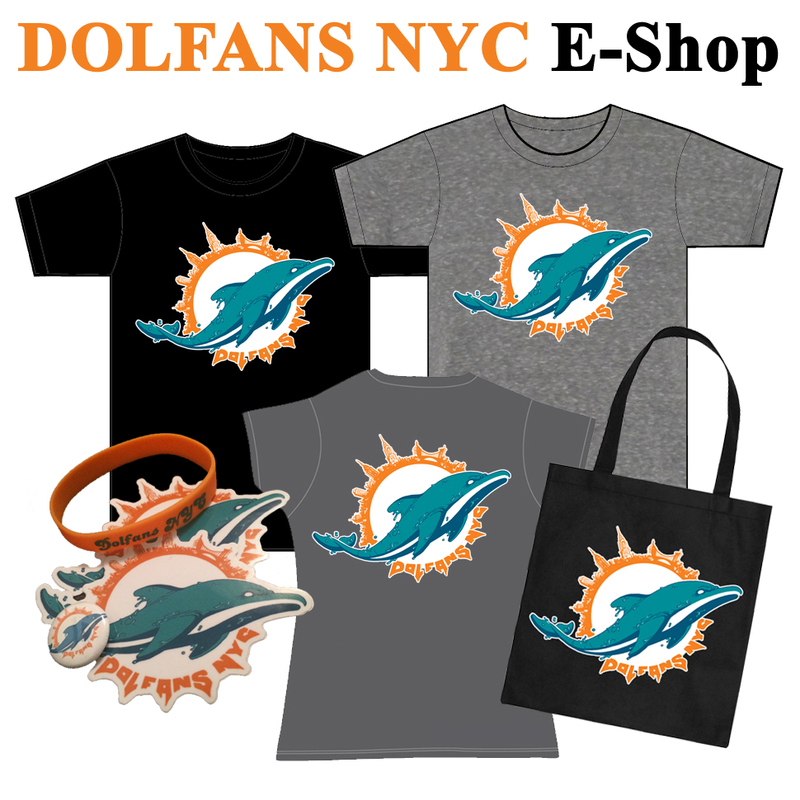 Dolfans NYC is nearly a second full time job but none of the money goes into our pockets so when you buy stuff from us you can feel good in knowing you are supporting our events and some really good causes. So let’s get on to the stuff! This year we got a brand new text logo that we have stamped on new shirts, hats and for the first time hoodies and shot glasses! We actually designed the text logo specifically for shot glasses and the front of hoodies because it’s only two colors and cheaper to print. Doing a four color shot glass is unreasonably expensive but two color is cheap enough that we can sell them for just $5. Plus it enabled us to do a zip up hoodie with the full Dolfans NYC logo on the back and have our new text logo on the pocket. 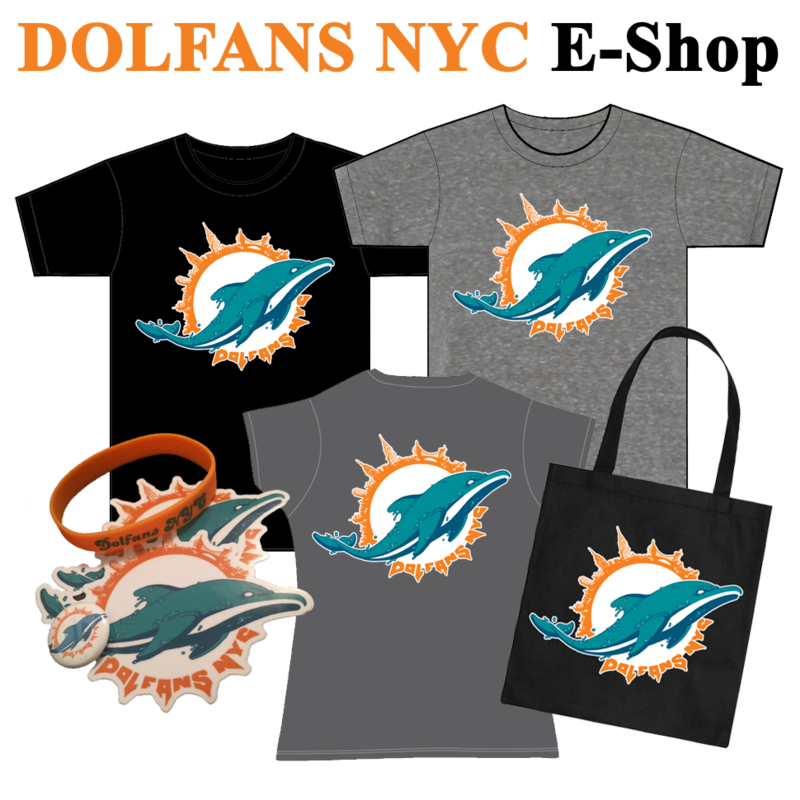 So click here and check out the new Dolfans NYC merch! 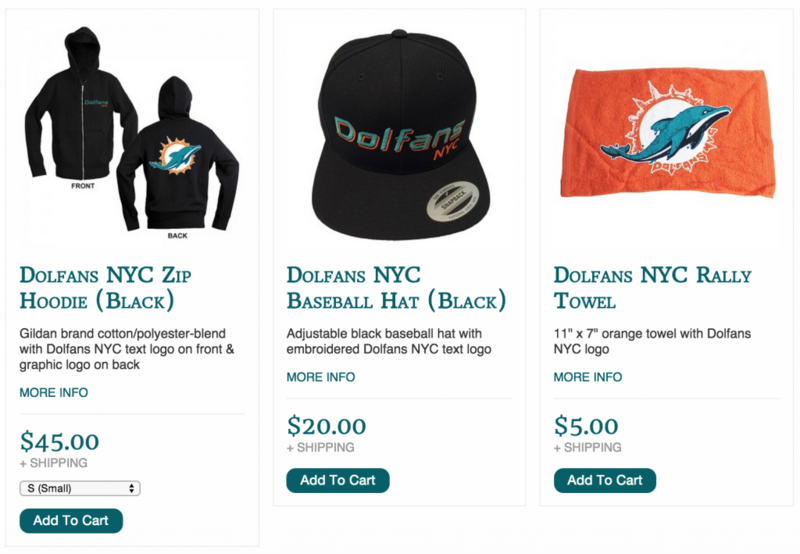 Posted in Shop | Comments Off on New Dolfans NYC Merch!